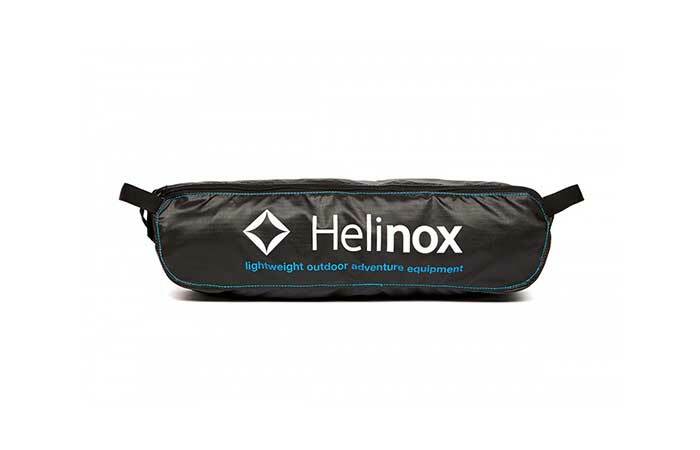 There is no reason in the world not to feel like at home when out camping, but in order to reinforce that feeling, you have to be equipped with the right gear. 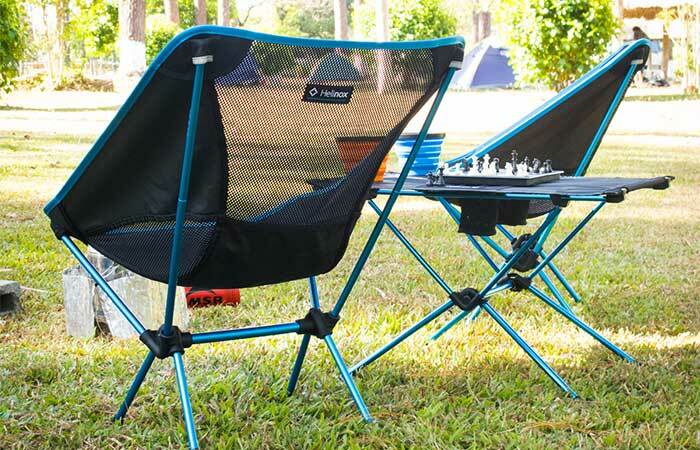 The Helinox Swivel Chair and Table will definitely be useful if you want to turn your campsite into something that resembles a cozy living room. Both the chair and the table were sturdily built and have a few pretty useful features, which will help further improve their already excellent qualities. 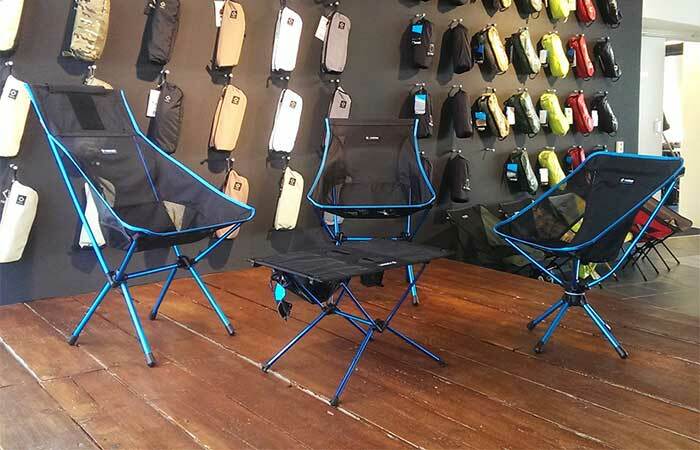 The Helinox Swivel Chair serves as a testament to the overall quality of Helinox’s outdoor gear. This chair has all the characteristics and outdoor piece of furniture should have. Weighing 2lbs and 8oz, you won’t have any trouble carrying it with you. But even if it was heavier, the fact that you can collapse it and pack it down into a pouch makes it compact enough to take on every camping trip. One of the best parts about this swivel chair is just that, it swivels. This brings the comfort level to the top and offers a neat way of turning away from that pesky smoke which can sometimes ruin a perfect moment at the campfire. Apart from being a very convenient piece of outdoor furniture, it’s also incredibly durable; it can withstand a weight load of 265 pounds on its own, which is commendable. The Helinox Table is here to complete the entire “outdoor living room” and it does the job perfectly. The table is not too high or too big, it weighs only 1.3lbs and, like the swivel chair, it can be packed down into a compact package. The table also has something extra to offer, it’s equipped with two beverage holders. Check out the setup process of the Swivel Chair below. Check out a review of the Helinox Table.